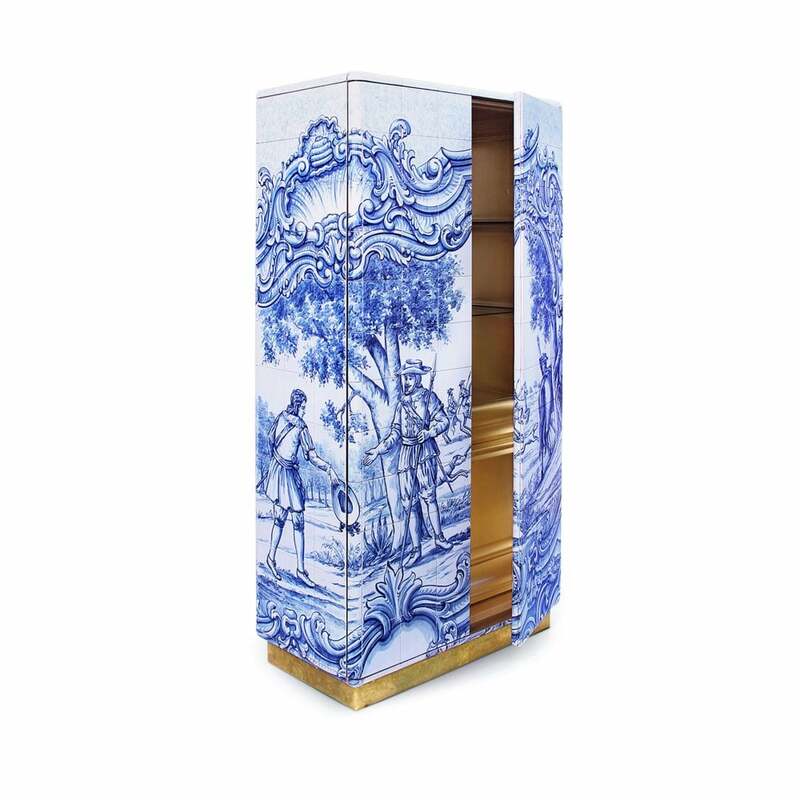 Heritage Cabinet is a tribute to the hand painted tiles of Portuguese history. Inspired by Portugal’s rich heritage, each tile has a tale to tell, what lies behind the doors - only time can tell. Heritage is an elegant décor piece to compliment the decoration of any interior setting. A highly coveted ensemble of hand painted tiles like that of an expertly curate art collection, bring together master artisans and craftsmen for Boca do Lobo’s Heritage. In its interior, there is one door and four drawers, fully lined with golden leaf. It also contains two shelves made in bronze glass. The base is made from manually hammered brass.